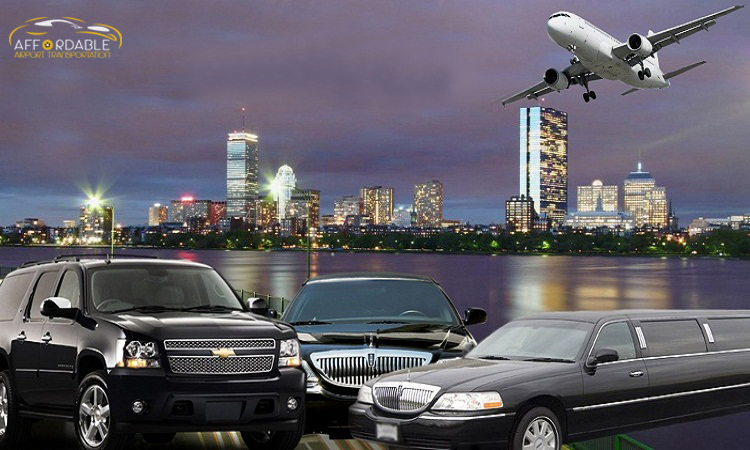 For the corporate Airport Transportation San Diego CA travellers who have to travel anytime to and from the airport on a regular basis, they need to travel in comfort and luxury in order to stay all time active and to ease the exhaustion, which is caused by the continuous or regular air journey. Travelling on the aeroplane can be tiring for most of the people and especially when you are off to some business meeting. But to get rid of this tiredness and exhausting journey get some rest by travelling in the luxury car by Affordable Airport Transportation. These services are very good and comfortable; people who avail of this service get the most comfortable and best-travelling experience. The chauffeur in the cars who come to pick you up are skilled, trained and have enough experience to leave you at your destination point from the airport. You will find many options for the limousine service San Diego CA provide luxury cars. Before the service can be only affordable by the rich people and businessmen, but now to increase this service company proving such services have lower down their prices and make them affordable so that each person can avail to the service. When you are travelling from the airport to your destination in San Diego CA, you don’t need to worry about the cost. The cost of Airport Transportation Services is very much pocket-friendly for common people also. It is undoubtedly the most comfortable travelling services, it is extremely important to choose the most reliable one in order to avoid any future disappointment. So if you are thinking of taking this service research first. Reputation: You must persuade yourself to get a transportation service that has previously provided customers with an efficient service reputation. Study the market in detail to understand the reputation of the company before you decide to choose. Reputation is one of the most important factors to help you decide whether to choose a particular company or not. Transportation: Limo service sanDiegoo ca that you choose to do business with must have some luxury high-end vehicles to serve you. Depending on your requirements and preferences, you must have many options to choose from. Most well-known services offer a variety of luxury vehicles, such as Affordable Town Cars, SUV, limousine, Mercedes, and more luxury cars, to provide you with an unforgettable travel experience. Drivers: Affordable Airport Transportation has trained, experienced and professional drivers are available to make your journey absolutely comfortable, luxurious and safe. The driver is very clear about the road and ensures that you arrive at your destination on time, without any hassle. In addition, they use advanced software to monitor flight time to ensure absolute airport punctuality. The driver is committed to providing you with everything you need to make your journey safe and luxurious. Make your journey comfortable and enjoying by availing to the services of the Airport Transportation San Diego CA, Limousine Service in San Diego and much related to it. Have made a plan to come to next San Diego in the coming months? Confused about choosing the right and affordable air transport? Well, that’s great first that you are coming to this beautiful city and stop getting confused for choosing the air transportation services in the city because Affordable Airport Transport is the single and best solution of your this problem. From here, you can easily book your limo service in San Diego ca. The ride will also be in full royal style with utmost satisfaction. Who says that stylish ride never comes in the budget? If you also think the same, then just break this bubble with the Affordable Airport Transportation services. Here, you are guaranteed with the best and affordable ride in this royal city. In this blog, we will also share the best features of the best airport transportation service provider. An extraordinary and luxury ride limo service San Diego ca, how? Though there is many limo service San Diego provider there are only few which are counted in the list of best service providers. So, let’s jump into the reasons which create a difference between limousine service San Diego ca. Following we have shared the reasons which showcase the features of a good airport service provider. Style and Comfort-Travelling in the SUV cars of San Diego and no space of style and comfort? No chance, yes because whenever you book an SUV car then it’s stylish and comfortable both. If somehow you had a bad experience in travelling this car then you might have been fooled by the company. SUV cars are always stylish and comfortable. So, enquire properly before booking your car. Clean and Hygienic-However, this point doesn’t even need an explanation because cleanliness is always a part of every private transport you book. So never compromise on it and research properly before booking your car. Competitive price- Never compromise on your budget and give no chance to the company for making you fool. The prices are quite low and reasonable. So, before making your advance payment must consider the prices and facilities of the other companies as well. Punctual- You have booked your own private car which is always punctual. But many cases are seen where the passengers have to wait for so long after landing from flight. So, must read the testimonial of a website with whom you are making a deal. From there, you will be able to get the perfect idea of their services offered to the previous clients. In above-listed points, we have mentioned the major feature of limo service San Diego ca provider. So, keep these points your base before booking your private car.